Ah, that pre-expansion excitement. Warlords of Draenor, the next expansion pack for World of Warcraft, launches in only three weeks as of today. Servers are a hustle and bustle of activity as players prepare for the onslaught of new content and challenges ahead of them. If you’re thinking of coming back to Azeroth to see what the fuss is about, or maybe you’re already playing but you’re a bit clueless as to what to do, then this preparation guide should help you. I’ll be discussing the best way to get to 90, how to get some raid-ready gear, and most importantly, how to obtain your level 90 heirloom: a powerful item that will accompany you on your travels throughout Draenor, all the way to level 100. 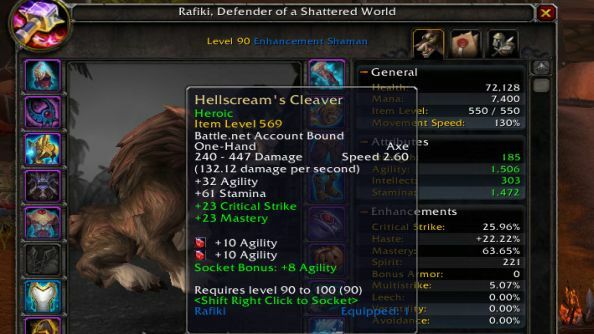 So you’ve got a fresh level 90, now what? You should’ve obtained a quest called the “Iron Horde Invasion”; if not you can grab it from any capital city on the notice board. It’s a short and simple quest line that introduces the primary threat of the new expansion, but maybe more importantly allows you to score some pretty nice gear. There’s a cloak, neck, ring and trinket in total, so go get em! It’s Halloween soon if you didn’t know, and that means the infamous Headless Horseman is back in Azeroth causing all sorts of havoc. While saving burning orphanages is nice and all, you should really just go straight to the source of the problem. Opening up your Instance Finder with the “i” key, you’ll find a new dungeon available to go and clash swords with the rider. It’s a super easy fight, and you can get an insanely powerful ring, as well as a one handed sword and plate helm if your class suits it. Next you’ll want to head over the time Timeless Isle. It’s an mysterious island located off the shores of the Jade Forest, that’s almost sinking into the ocean under the weight of endless amounts of loot. By completing the quests there, killing rare mobs and opening chests, you’ll net yourself armour tokens; some appropriate to your class and active specialization. Watch this video on how to get started. For some extra help, it’s really useful to install this addon which paints the locations of all the chests on your in-game map. 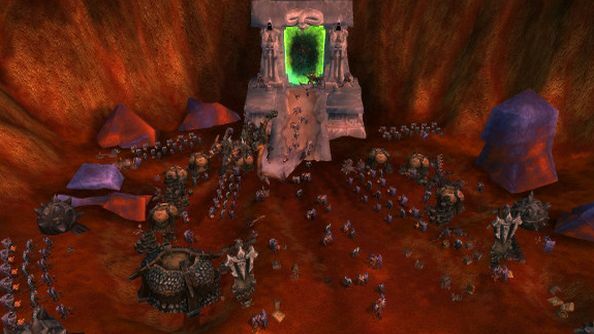 With patch 6.0.2 came a new level 90 version of Upper Blackrock Spire, which contains some of the invading Iron Horde. It offers a preview of what you can expect to be facing off against in Draenor itself, as well as some nice juicy loot. You can pick up a myriad of gear from this dungeon, and a lot of it is better than that of Siege of Orgrimmar normal mode. 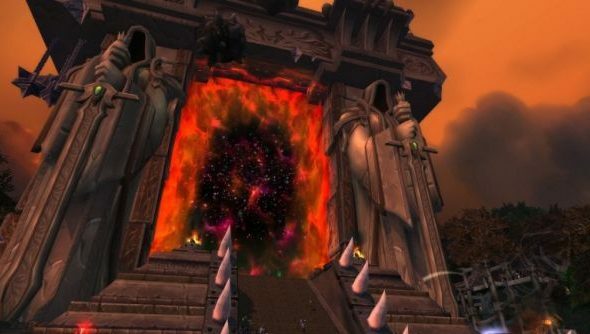 Even if you’ve got better gear, you should check out this dungeon while it’s around, because it’ll be set to a level 100 dungeon once Warlords of Draenor is out. Once you’re geared up in epics, it’s time to go raiding. Now that you have a good enough item level, you can queue up for raids using the Looking for Raid tool. Again, this can be found in your Instance Finder by pressing the “i” key. You’ll want to start by queueing up for the raid “The Last Stand of the Zandalari”. This is the first wing of the raid known as “Throne of Thunder”. The bosses are fairly easy in LFR; infact I’ve never had a wipe inside one. By killing the bosses and going down the list of raid wings, you’ll score yourself some nice gear, and also reputation with the “Shado-Pan Assault” faction. When you achieve friendly status with the Shado-Pan Assault, you’ll be able to purchase better epics from the vendor, located in Townlong Steppes where the valour helm icon is on the map. The gear costs gold to obtain, and it’s rather expensive, but it’s notably better than the gear from Timeless isle. Use it to fill in the gaps as you get gear from LFR, and have enough gold to do so. When you’ve completed the entire Throne of Thunder raid, it’s very likely that you’ll have enough gear to then queue up for the Siege of Orgrimmar raid. Don’t be afraid if you don’t know the bosses tactics – a lot of LFR groups will be happy to explain what to do. Just don’t stand in the fire. Your end goal is insight. 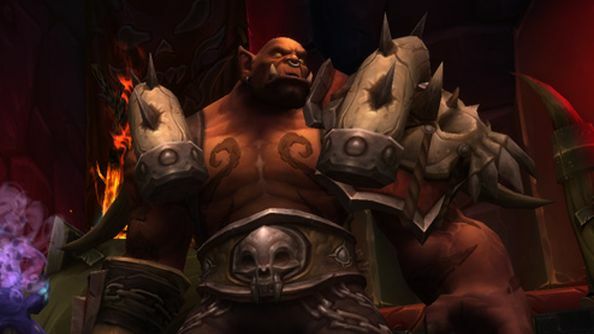 To obtain an heirloom, you’ll need to complete Siege of Orgrimmar on Normal difficulty, and kill Garrosh Hellscream. It’ll be slightly more difficulty than that of LFR; you’ll also need to find a group manually too. This is a bit easier now with the Premade Group Finder – again with the “i” key – that Blizzard just implemented with patch 6.0.2. Here you’ll find a few dozen groups advertising their raids for more members. Because getting an heirloom is a popular activity these days, it shouldn’t be too difficult to find a group. If you want to be cautious, you can watch a few videos on Youtube of the tactics. There’s not much difference to LFR; everything just hits harder, has more health and as the odd new attack here and there. But at the end of the day, you don’t want to be that guy who wipes the raid. By killing Garrosh, you have a clean 100% chance to obtain an heirloom weapon on your first kill, that’s appropriate to your class and spec. It’ll level up with you from 90 to 100, increasing in power and stats along the way. You can even obtain more than one if you manage to kill Garrosh on higher difficulties (Heroic and Mythic) too, or if you get incredibly lucky and receive another on a fresh Normal mode run. So there you have it. When Warlords of Draenor hits, you’ll be more than equipped to deal with the Iron Horde and all it throws at you.